We have gained expertise in manufacturing and supplying a comprehensive range of Hexosamines. The range we deal in includes Aspartylglucosamine, Bacillithiol, Daunosamine, Desosamine, Fructosamine and Galactosamine. Our chemicals are widely appreciated by the customers for their longer shelf life, non-toxicity and environment friendly nature. These chemicals are available in various packaging sizes at market leading prices to meet the demands of customers. We also provide customized packaging to clients as per their demands and requirements. 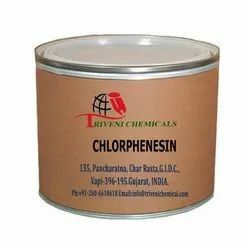 Chlorphenesin is Solid. Storage: Keep container tightly closed. Keep container in a cool, well-ventilated area. Looking for Phenol Ethers ?